American hoppy ales — and especially IPA and dIPA — are one type of beer that can benefit from better homebrew recipes. 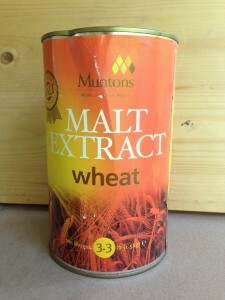 Most recipes involve adding all the pale malt as light malt extract, and steeping the crystal malts. In IPAs or dIPA, this leads to only steeping a small amount of grain, or — worse yet — the brewer deciding he should include more steeped grains and loading his recipe up with light crystal or CaraPils. For these beers, and especially IPA and dIPA, extract brewers will do well to “steep” some base malts with their specialty grains and get the aroma of pale malt into their beers. The main malt aroma in these beers (and again, especially IPA and dIPA) is that of pale malt. Wort made only from extract is less aromatic than wort made from grains because some of the aroma is lost when the extract wort is condensed or dried. “Steeping” some pale malt (which is really doing a small partial mash) adds the appropriate pale malt aroma to your beer and will really improve an otherwise well-constructed extract IPA recipe. An additional benefit to this is you can dissolve some or all of the malt extract into the partial mash wort and hold this at around 150 °F (66 °C) for awhile (~15 minutes). Worts made from only malt extract tend to be less fermentable than worts made from mashing malted grains. If you dissolve malt extract into a partial mash wort, enzymes from the wort will go to work on carbohydrates from the malt extract and lead to a more fermentable wort. Since you don’t want these beers to be dark, be sure not to caramelize your malt extract, especially when adding late additions. If you dissolve your late extract additions in wort first, you can add them to your brewpot with less chance of sinking to the bottom and scorching. All-grain wort production is the subject of the next article in this series.